BOOTICE is a powerful boot-related utility. It’s desired to manipulate (install, backup, restore) the MBR and PBR of disks (or disk images), to partition and format disks, to edit disk sectors in hexadecimal, to erase all the data on your disk or logical drive (by filling with customizable characters), to edit Grub4DOS boot menu, and to edit BCD file of Windows NT 6.x. 1. Fixed the bug that compacting VHD doesn’t work on Windows 7. 1. VHD/VHDX supporting. Now you can create, mount or unmount, resize, compact, reset the parent VHD file for VHD/VHDX files. 2. 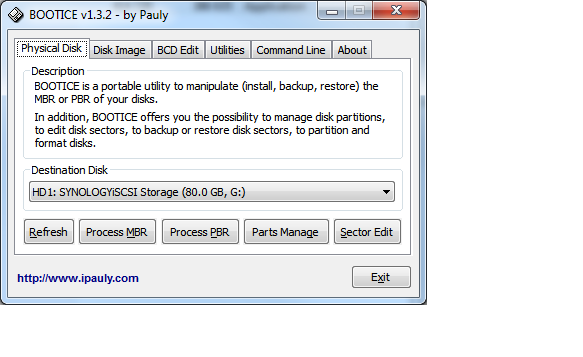 Better partition formatting speed, especially for NTFS. 3. 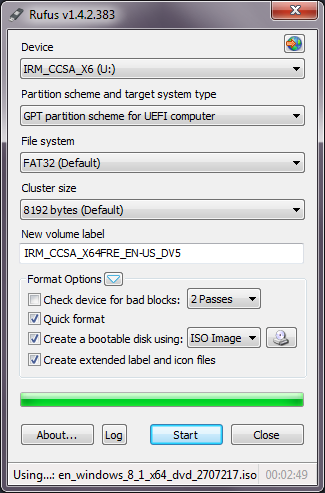 Allow formatting as FAT32 on a partition larger than 32GB. 4. Fixed a bug that cuases wrong total sectors of VHD files. 5. When installing GRUB4DOS/WEE MBR, the choice « Install NT6 MBR to the 2nd sector » was checked initially. This is what the « Get WAIK Tools » is made for. Get it here : GetWaikTools . 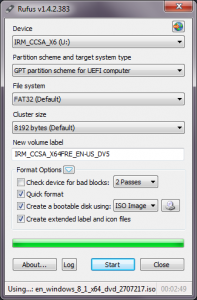 Rufus is an utility that helps format and create bootable USB flash drives, such as USB keys/pendrives, memory sticks, etc. Plan is to rewrite all my delphi 7 apps with Delphi XE5. First to benefit from a more modern IDE, and to stay in synch with libs I used (jvcl, jwa, etc) but also to be able to build 64bits binaries (following this guide). Additionally, building android apps would be a nice plus with this new version. -Downloaded and installed the eval version. Now the fun starts, CloneDisk delphi projects opens fine in Delphi XE5 (yes! ), compiles fine (yes again!) but code needs to be reviewed to work properly. Side note : x86 binary is much bigger than before. Something to check later. -pchar now means pwidechar (we are now unicode) whereas it meant pansichar in delphi 7, so all ansicode api need to use keyword pansichar. Still a long way to build a x64 binary. 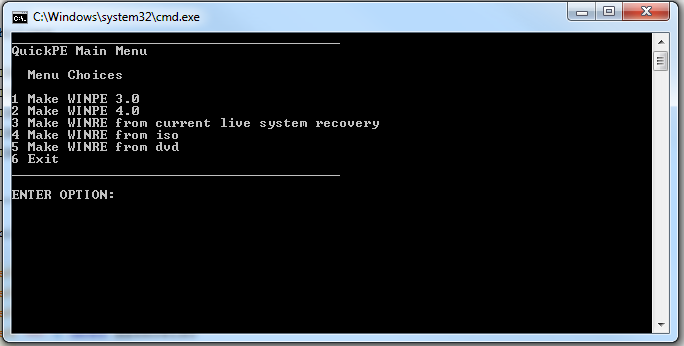 Here below some drafts notes on how to boot WINPE on a UEFI computers. If you dont find bootx64.efi, you can use bootmgfw.efi which is in install.wim on your dvd (sources folder). Add the following winpeshl.ini (create it with notepad) file in your boot.wim (system32), making it a « cheap » winpe. wimlib-imagex update boot.wim 1 --command="add CustomWinpeshl.ini \Windows\System32\winpeshl.ini"
Set bootx64.efi as the bootp filename. Site note : you can use option dhcp 252 to decide which BCD file to load. side note : you can check if you booted on uefi with the following reg query HKLM\System\CurrentControlSet\Control /v PEFirmwareType Will output 0x1 for bios, 0x2 for uefi. Note that the following would aso work : PXE-> IPXE.efi ->MS Bootx64.efi ->BCD (winload.efi) ->Boot.wim (x64). 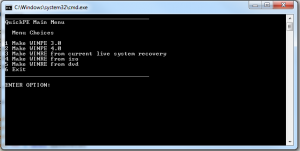 Clonedisk now supports WIM format to backup/restore a logical disk. Clonedisk currently focuses on 2 standard format : RAW and WIM. There are times where you may not have a dvd drive or media available, or else, you may also want to perform some tasks before triggering the windows setup. You can either use MS WAIK (winpe3), or MS ADK (winpe4) or an existing windows setup DVD or ISO file. Launch _run_me.cmd and make your choice. Now lets network boot (pxe as first device in the bios). Computer will pxe boot, load ipxe, then load your script. The script will boot into winpe. Now we are ready to perform the installation : map a drive thanks to PeNetwork (in the tinyshell launchbar) and map a network share containing your windows installation files. Note1 : CloneDisk can also mount a virtual dvd drive from an iso file (only in winpe4). Note2 : Rather than launching the setup.exe from the windows DVD, you can also apply a wim file to the target drive using imagex (or clonedisk). If so, then remember that you need to prepare the drive (partition active, boot sector …). Launch the windows setup and let it run. Windows should the complete the installation, and reboot one last to your windows desktop. See below a video demonstrating the above steps. No Wireshark? No TCPDump? No Problem!